Tesla’s semi-autonomous driving technology is ready for prime time. On Thursday, thousands of Tesla car owners will be able to take their hands off the wheel under certain driving conditions. Tesla Autopilot, the name for the company’s semi-autonomous driving features, will be activated Thursday with an over-the-air software update to roughly half of the Model S cars the company has ever sold. 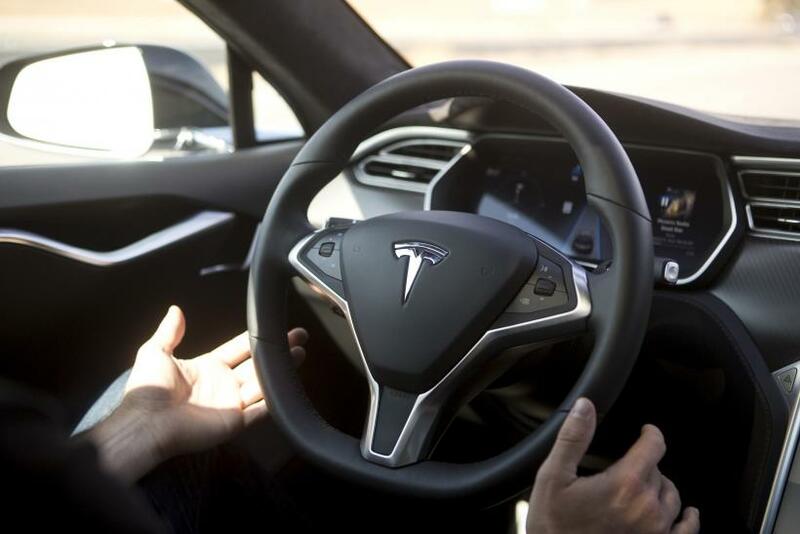 "Autopilot" is a misnomer -- you won’t be able to kick back an read a newspaper as the car shuttles you to work -- but Tesla is the first among luxury car manufacturers to offer hands-off-the-wheel automatic lane-changing. Since mid-2014, Tesla has been installing in its Model S electric luxury sedan a dozen radar, camera and ultrasonic sensors, giving the vehicle a 360-degree “view” of surrounding traffic, allowing the vehicle to respond to traffic conditions when the driver activates the Autopilot mode. The sensors allot the car to automatically change lanes when the driver activates the signal and the car detects that it’s safe. The cars will now also have adaptive cruise control, which changes the speed to maintain a safe distance from the vehicle in front, something that has been available in some luxury car options for a while. 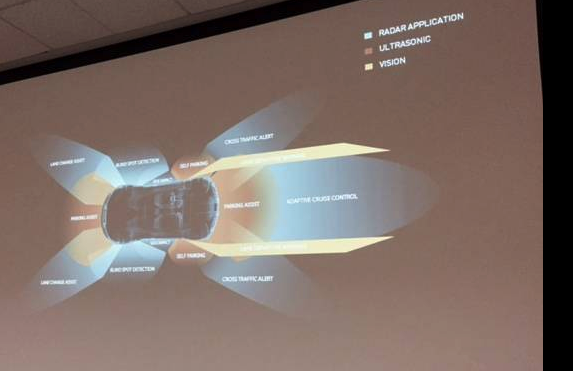 About 43,000 of the approximately 87,000 Model S sedans the company has sold since the start of 2013 have these sensors installed, according to a review of Tesla sales numbers. Most of the vehicles are located in the United States. With Autopilot activated, all the driver has to do is turn on the turn signal, and assuming there's a clear path, the car will execute the lane change. This feature wasn't always available in our brief test-drive—where lane lines weren't visible, or where traffic was blocking the car's view of the lane markings, Autopilot simply wouldn't respond to the turn signal. But when the car was satisfied with the conditions, it executed lane changes without drama.